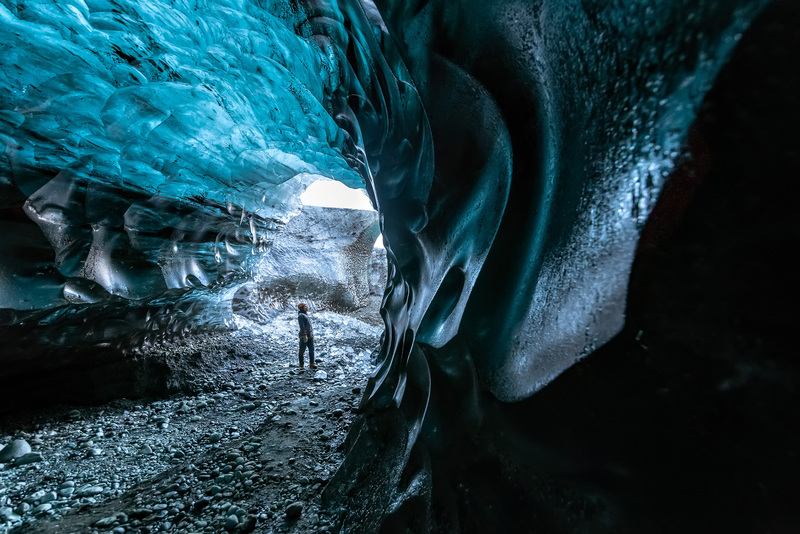 A must-see for all photography enthusiasts. 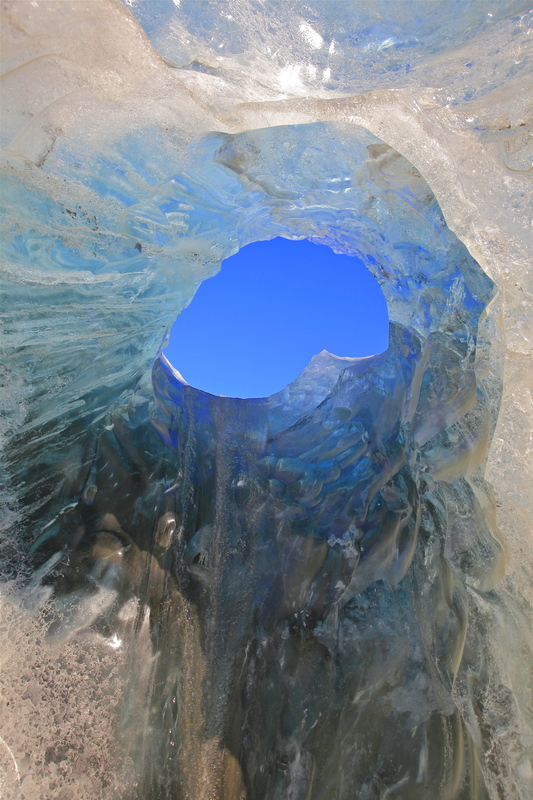 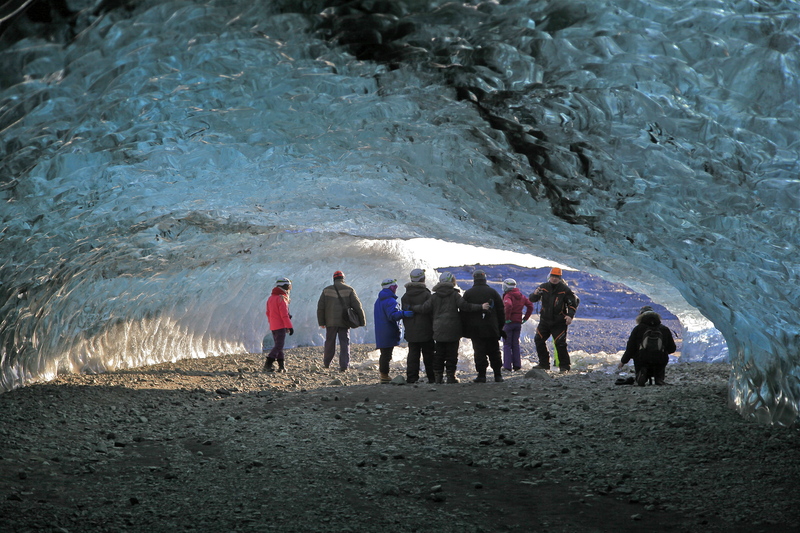 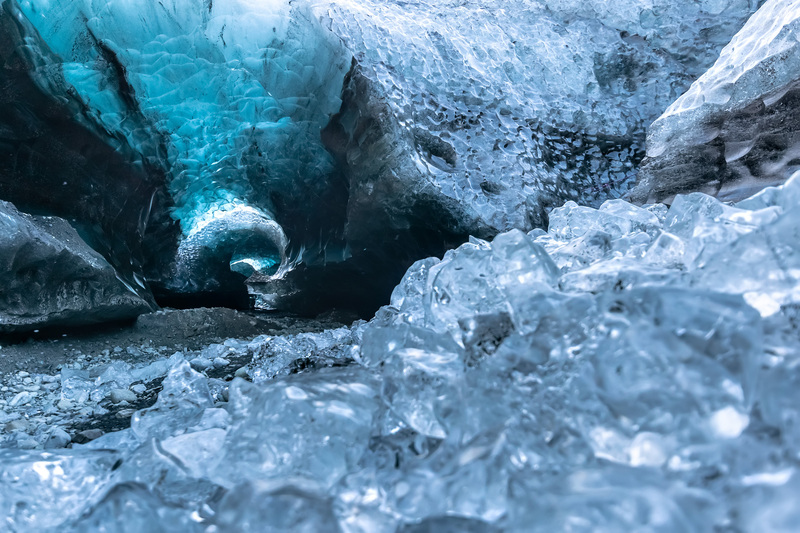 In the incredible surroundings of the glacier lagoon and the biggest glacier in Europe, this tour has it all: glacier hike, super jeep ride, and magical blue ice cave; the tour takes you into a remote ice cave in the Vatnajokull icecap, a once-in-a-lifetime opportunity to experience the unique atmosphere of a crystal blue ice cave and the intense, beautiful blue color inside. 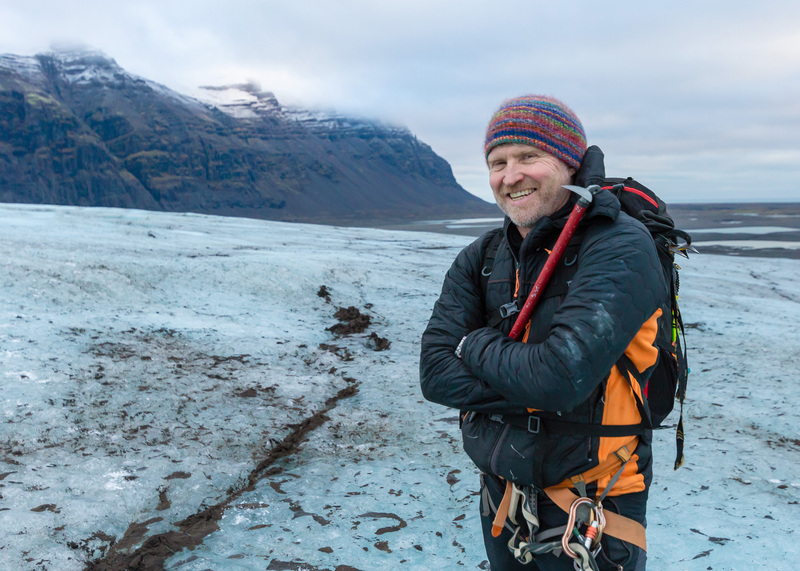 We´ll have plenty of time on this tour and fewer people than usual. 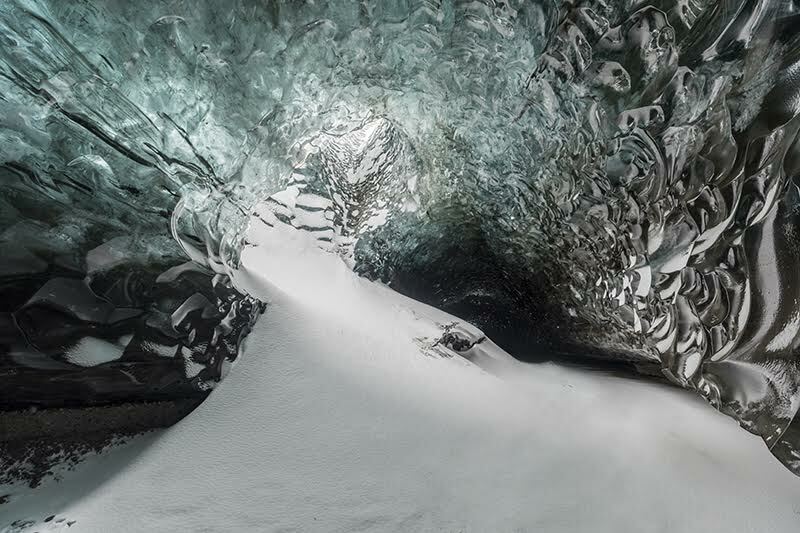 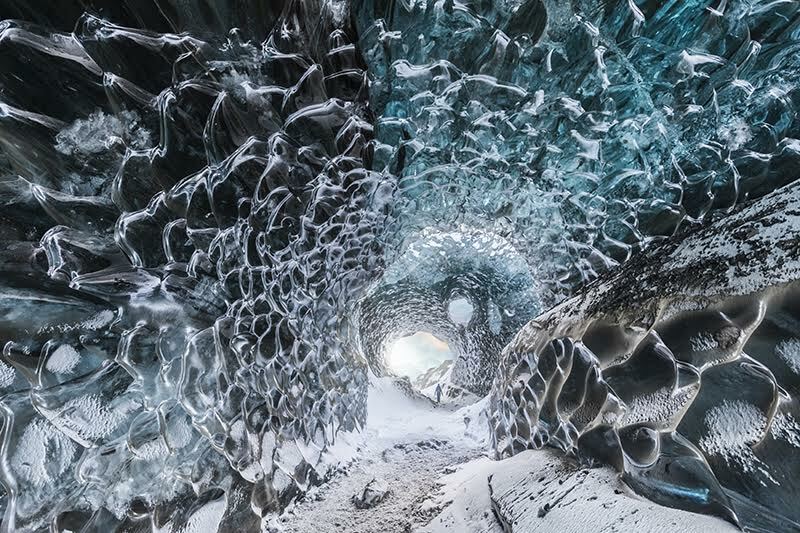 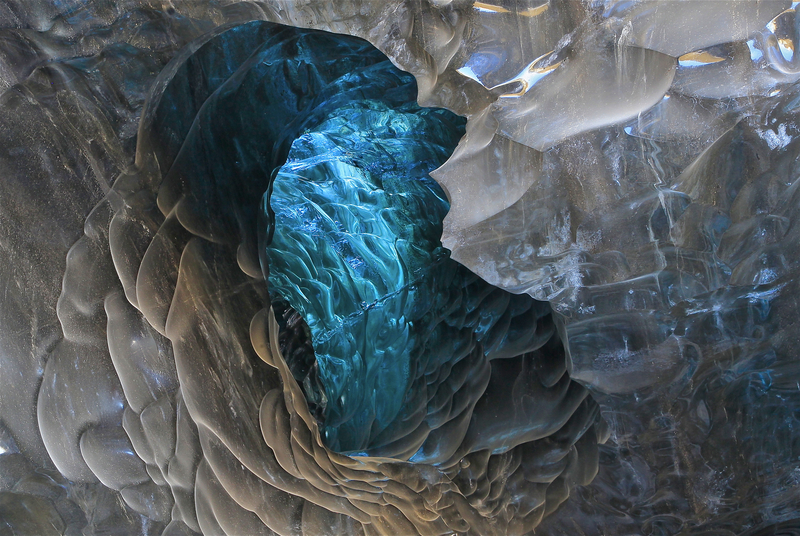 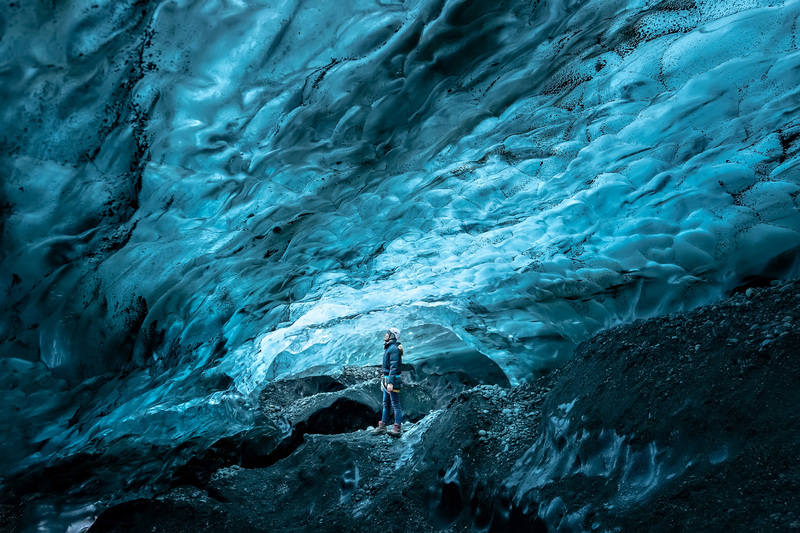 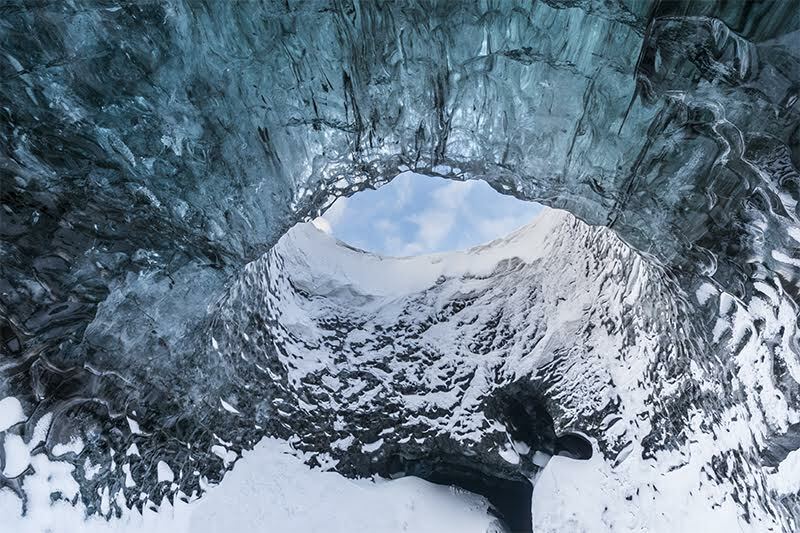 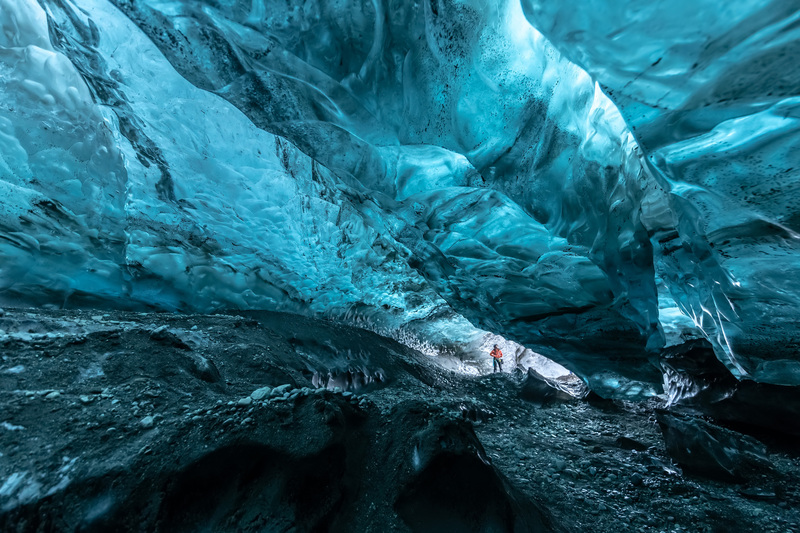 If you are a photographer who wants to capture the magic of the ice cave, this is a tour we recommend for you. 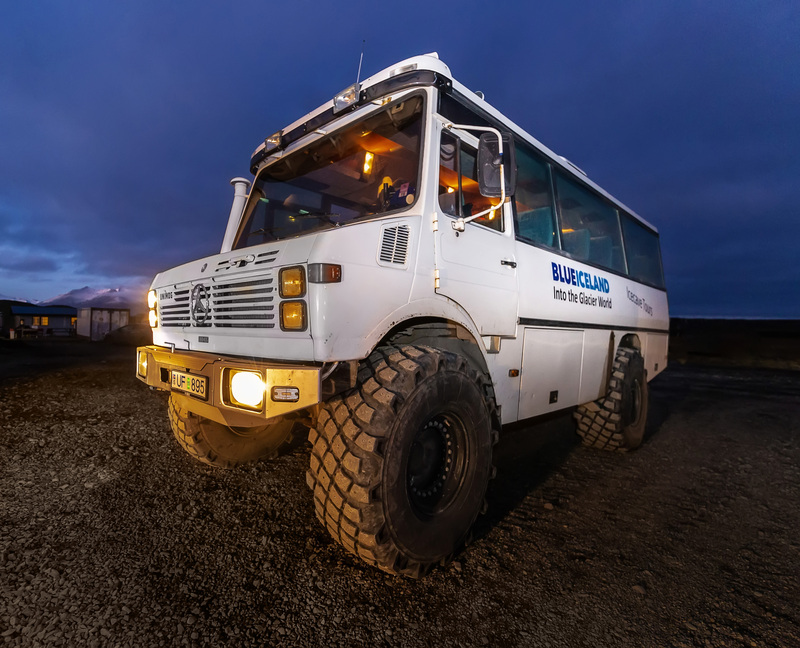 In all, the tour lasts about five to seven hours and requires some level of fitness. 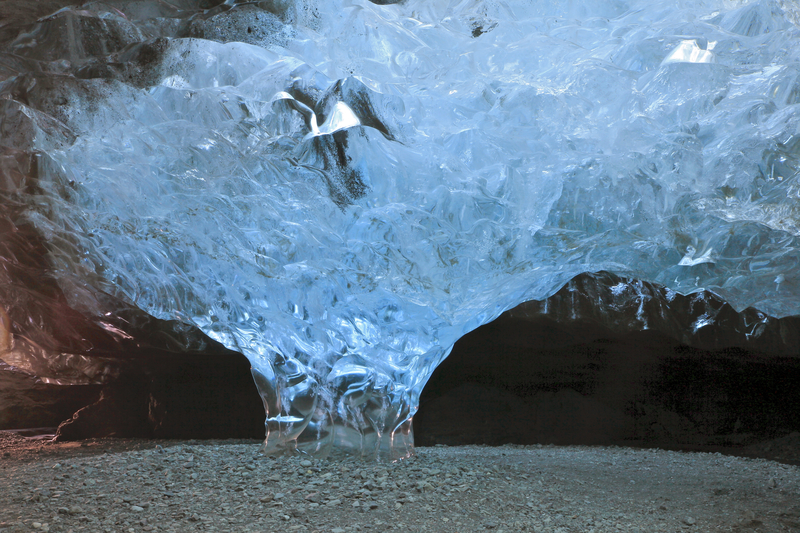 We meet at the Glacier Lagoon and drive in a Super Jeep for about thirty minutes to where we begin the hike. 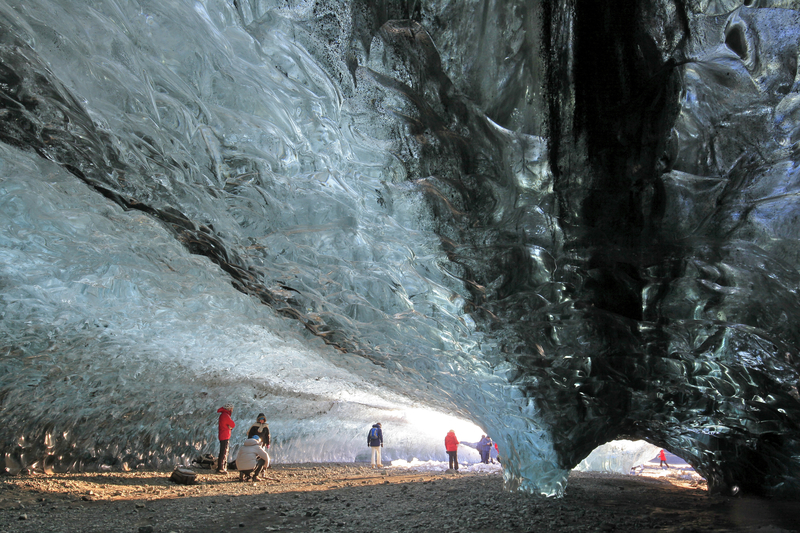 Then, the walk to the ice cave takes about one to one-and-a-half hours. 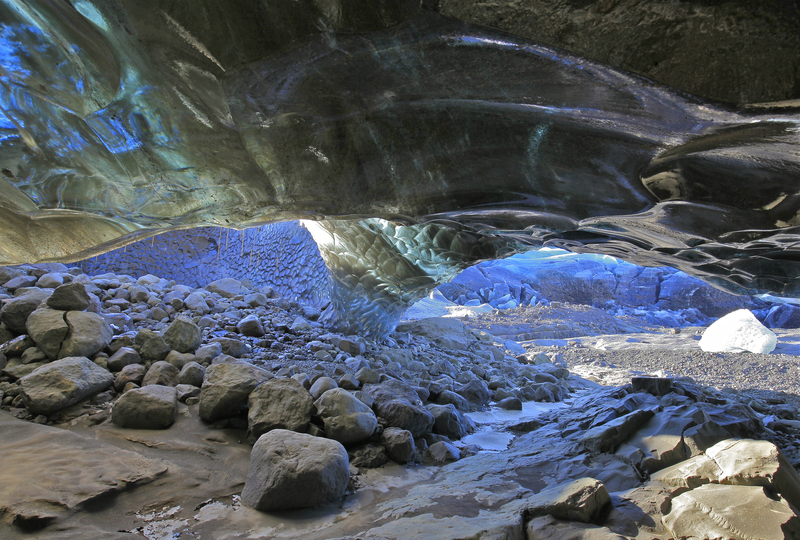 The hike leads through a rocky and uneven terrain of glacial moraine and onto the glacier itself.